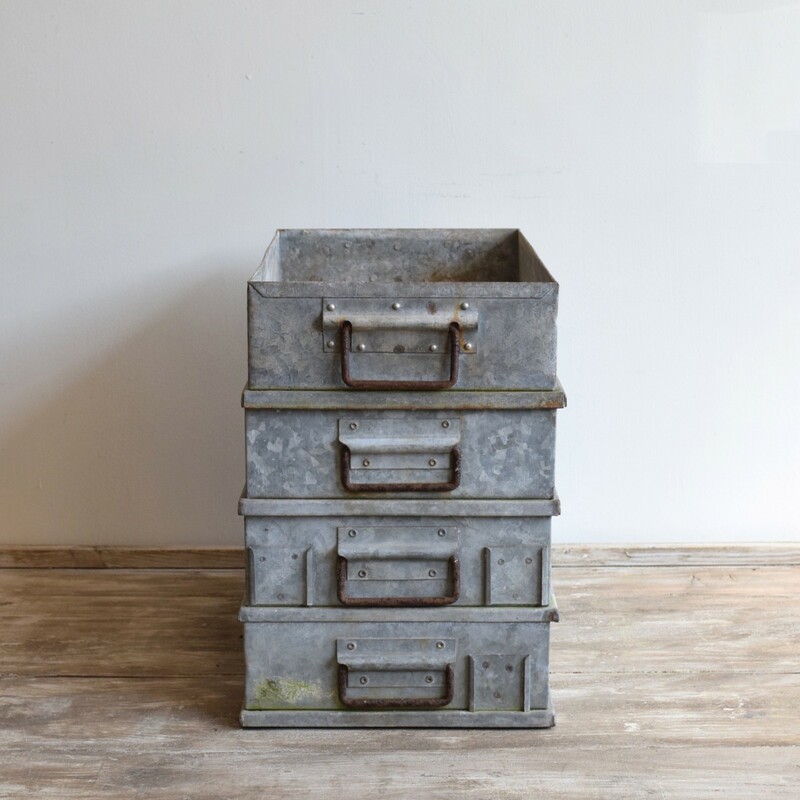 These vintage industrial trays make stylish storage pieces. They can be used individually or as a stacked set and have natural signs of wear and tear. There are four available.